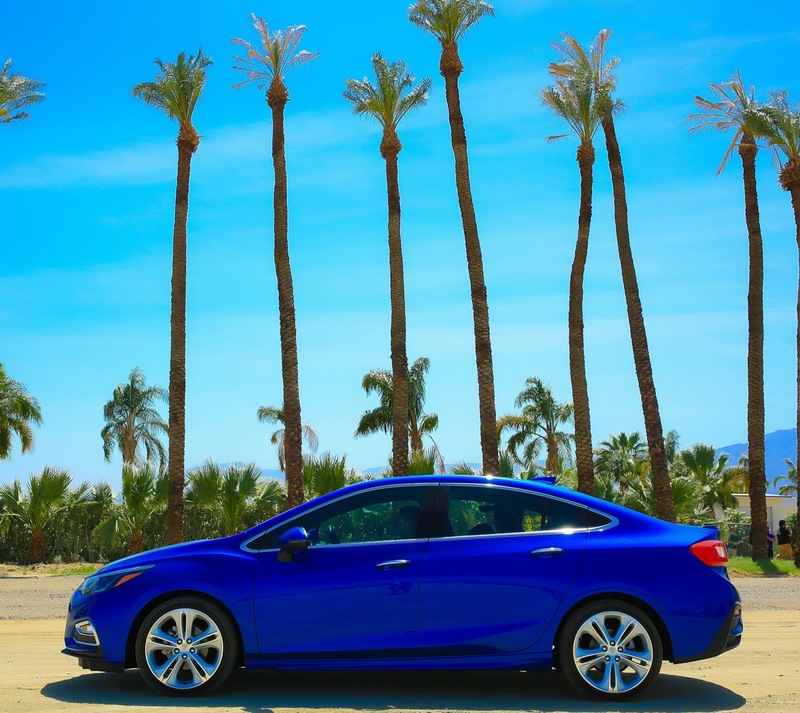 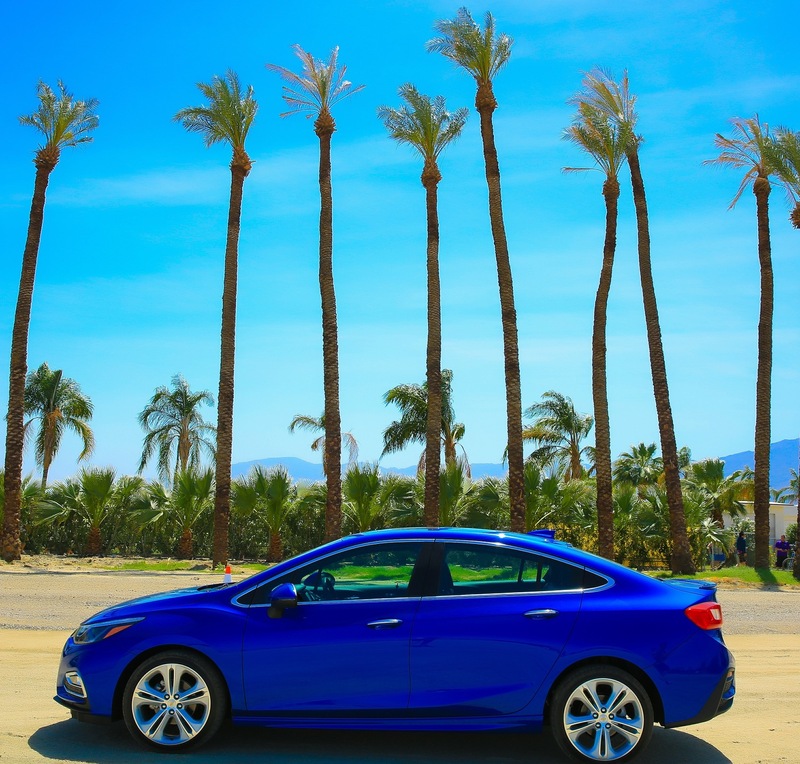 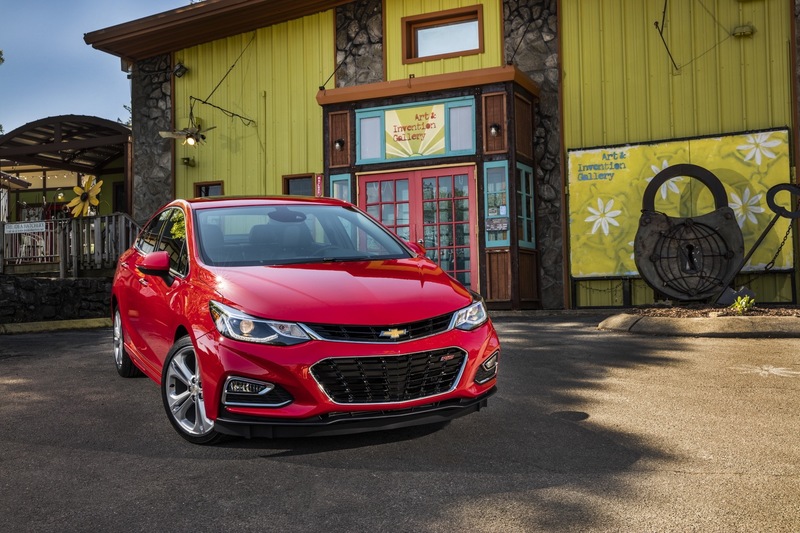 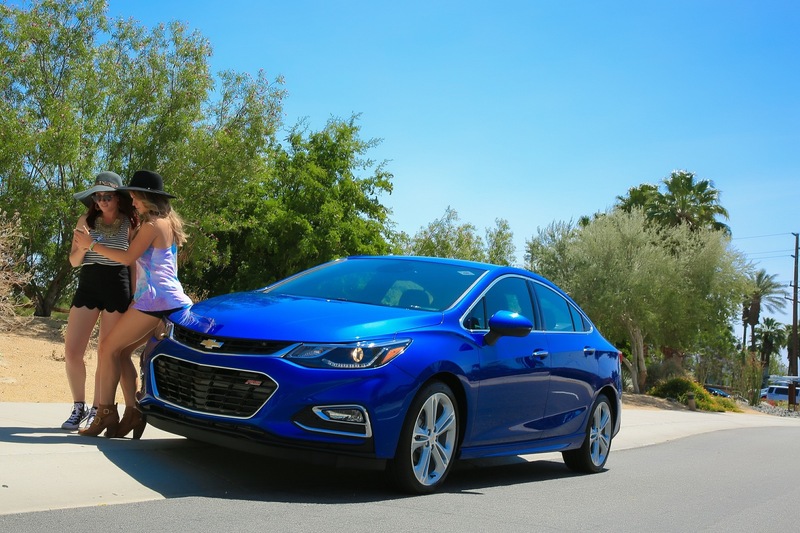 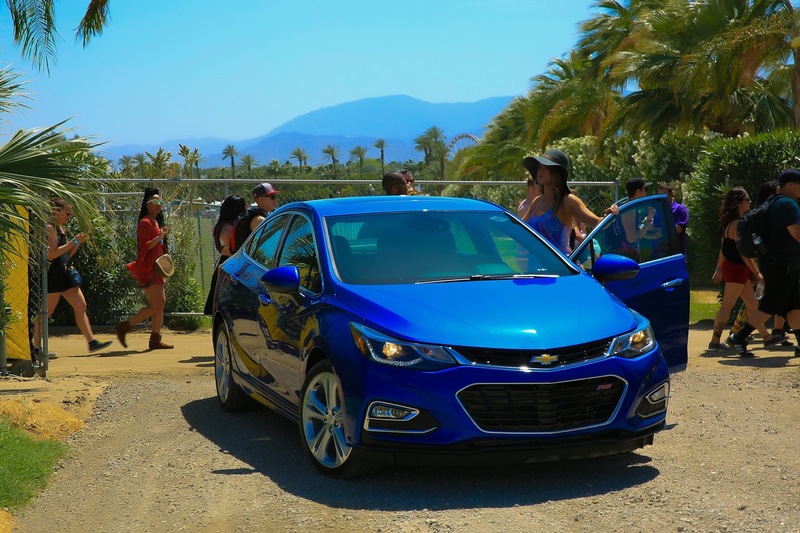 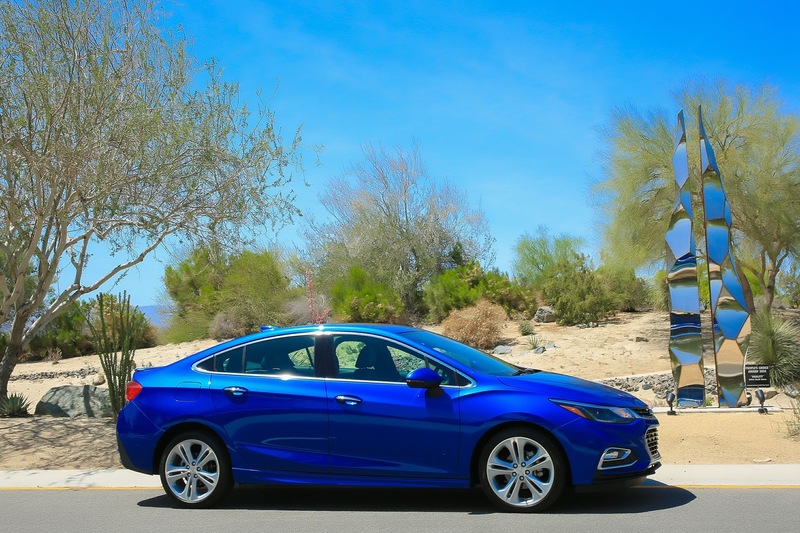 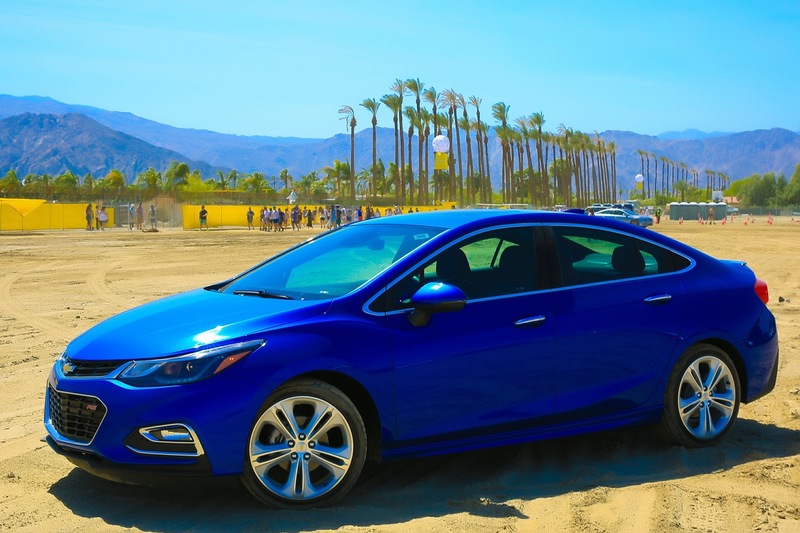 Chevrolet completely overhauls (redesigns and re-engineers) the Cruze compact car range for the 2016 model year, delivering an all-new vehicle with improvements in fuel economy, connectivity, safety, and overall refinement. 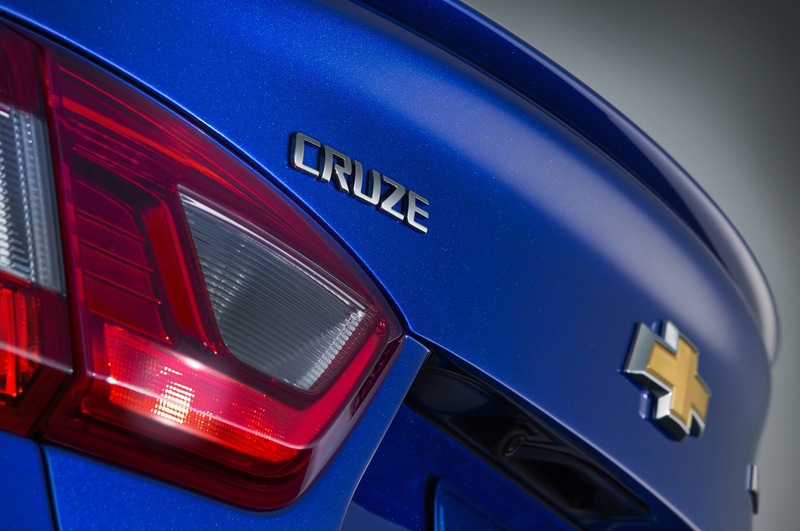 The 2016 Cruze is an all-new vehicle representing the second generation of the Cruze nameplate. 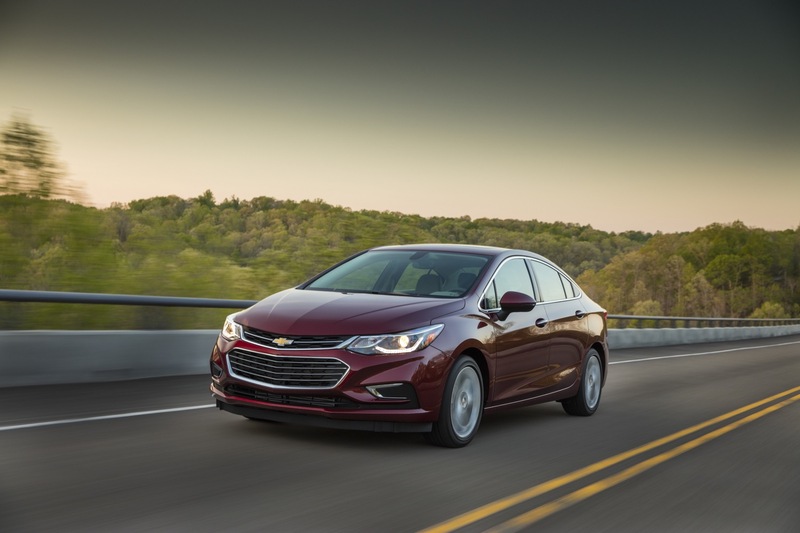 While the first-generation Cruze is regarded as a very good mainstream compact car, Chevrolet is looking to grow its presence in the segment with this new model. 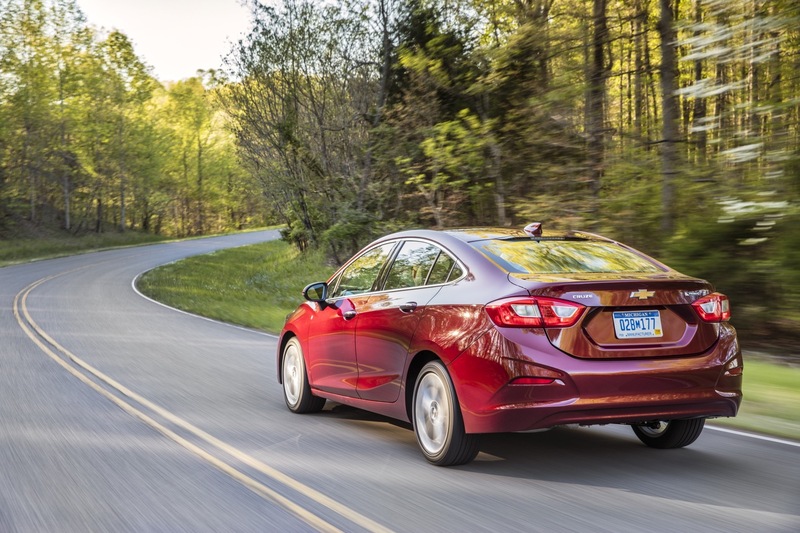 The 2016 Chevy Cruze model aims to bring refinement to the Cruze nameplate while addressing the issues widely recognized as weak points of the first-gen model, including the vehicle’s (rather-unnecessarily) hefty curb weight. 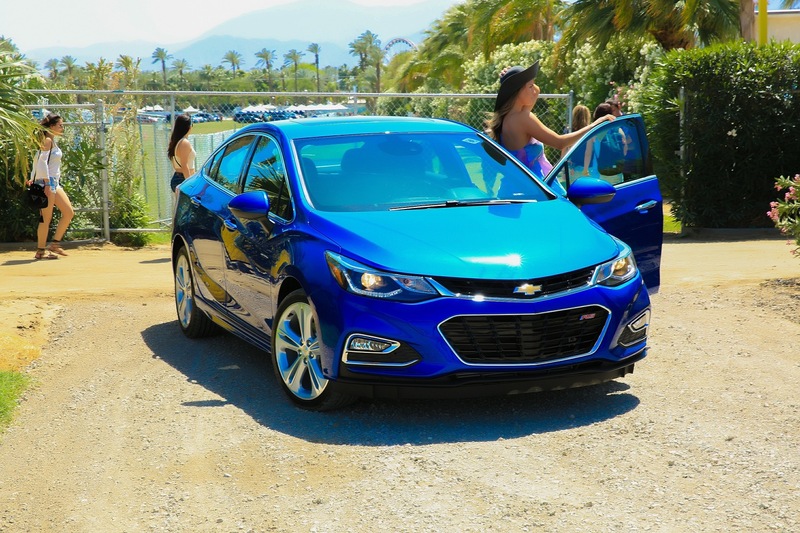 A more refined and more technologically-advanced Cruze that is more modern inside and out. 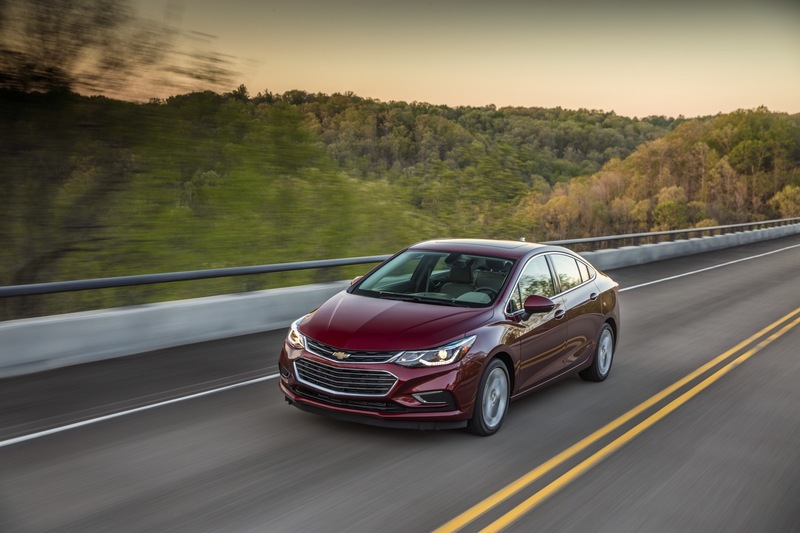 To further make Chevrolet a leader in the compact car space and increase its share of the mainstream compact passenger car segment. 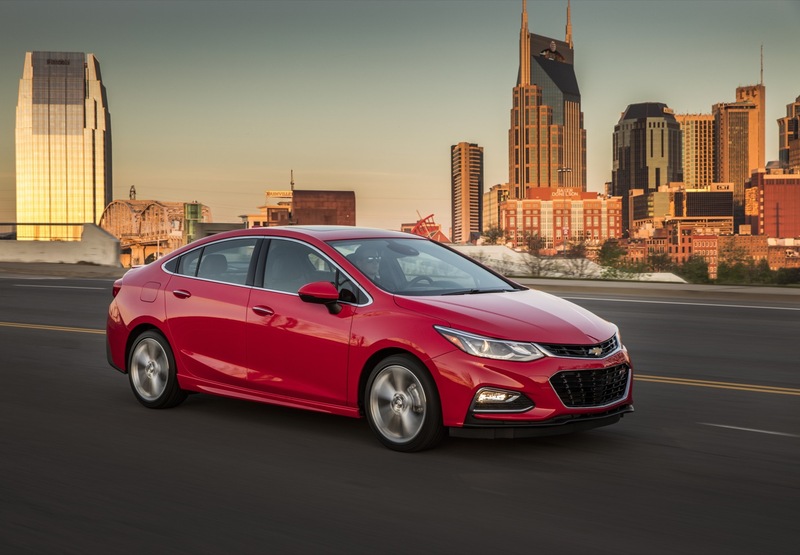 The 2016 Cruze was unveiled in June 2015 and will go on sale in the United States in the spring of 2016. 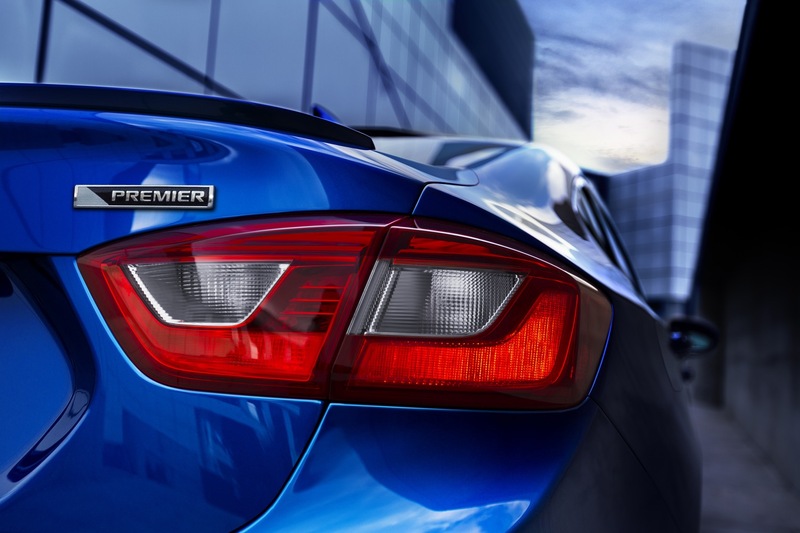 The 2016 Chevy Cruze features a design that balances expressive style with the efficiency-optimizing input of wind tunnel testing. 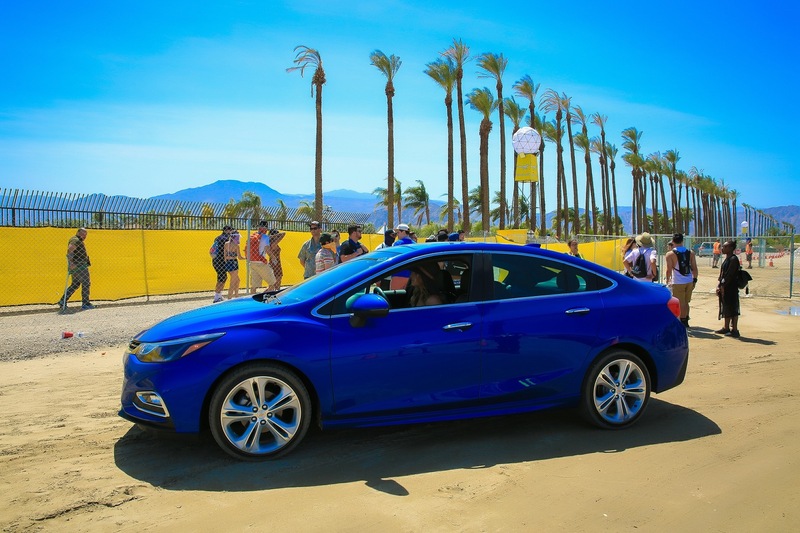 The design leverages the aero experience of vehicles of the all-new 2016 Chevy Volt, with which the new Cruze shares its D2XX platform. 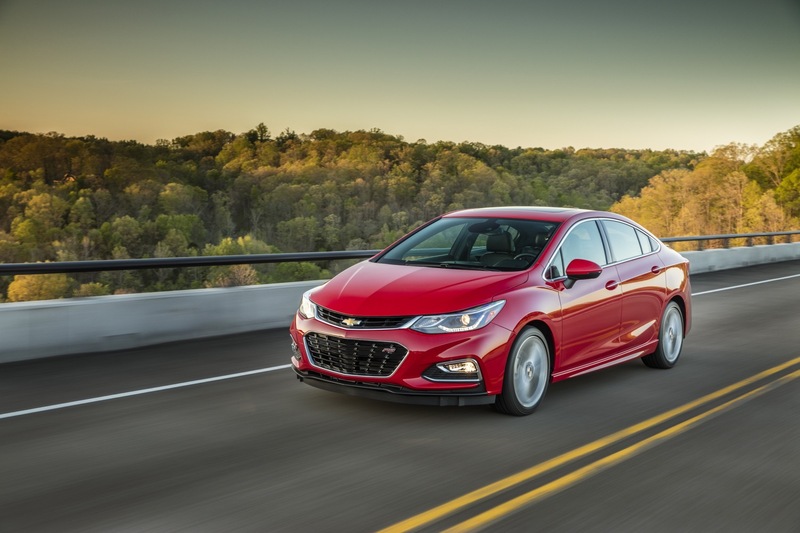 The result is one of the sleekest-looking cars in the class, with a 0.29 coefficient of drag – an attribute that contributes directly to a GM-estimated 40 mpg on the highway. 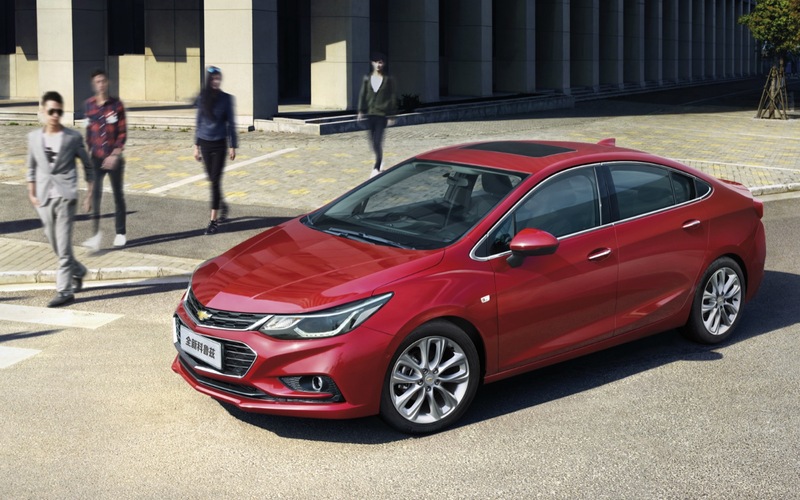 Proportionally, the new second-generation Cruze is 2.7 inches (68 mm) longer and nearly an inch (25 mm) shorter in height than the first-generation model, giving it a longer and leaner appearance. 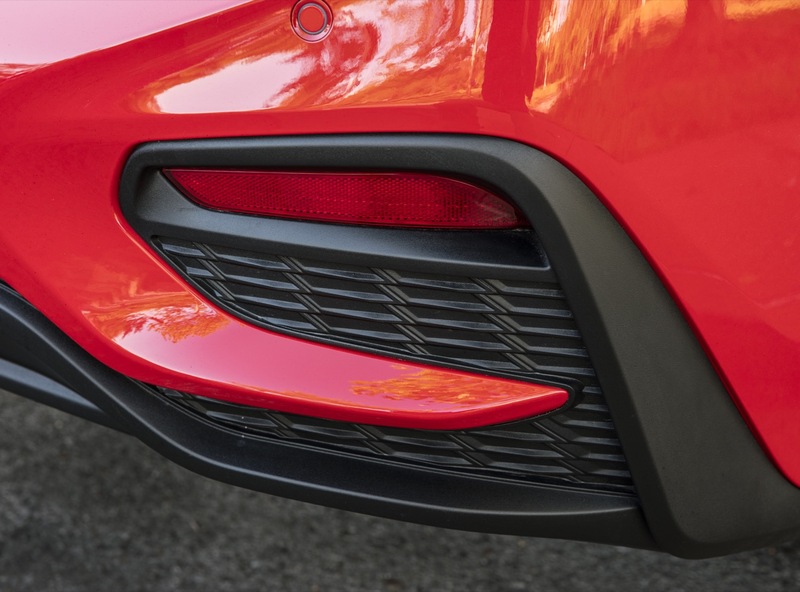 A faster windshield rake and a faster-sloping rear profile lend a sportier look to the design, while the rear profile culminates in a standard integral rear spoiler that contributes to the car’s aero efficiency. 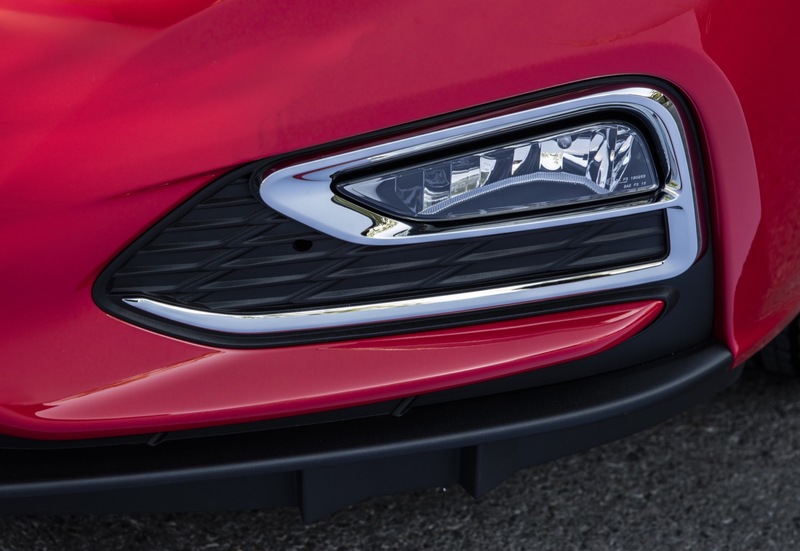 In the front, the headlamps sweep back into the front fenders and an expressive, stacked dual-port grille design offers upscale attention to detail. 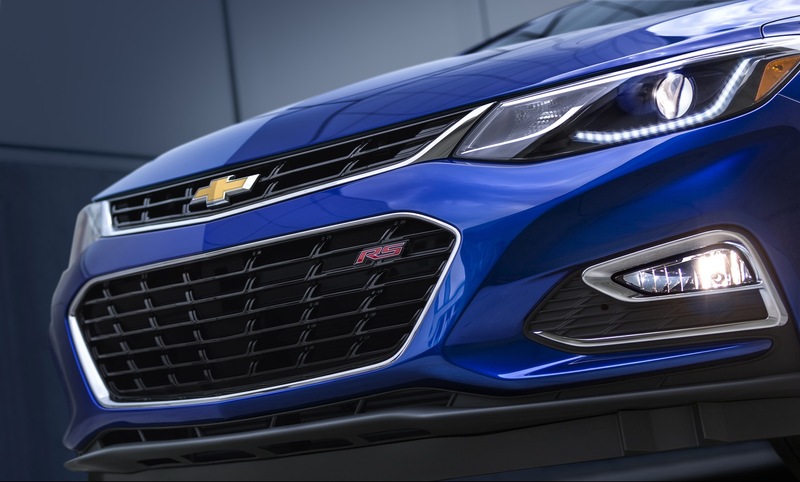 LT and Premier models feature premium forward lighting systems, including projector-beam headlamps and LED signature daytime running lamps. 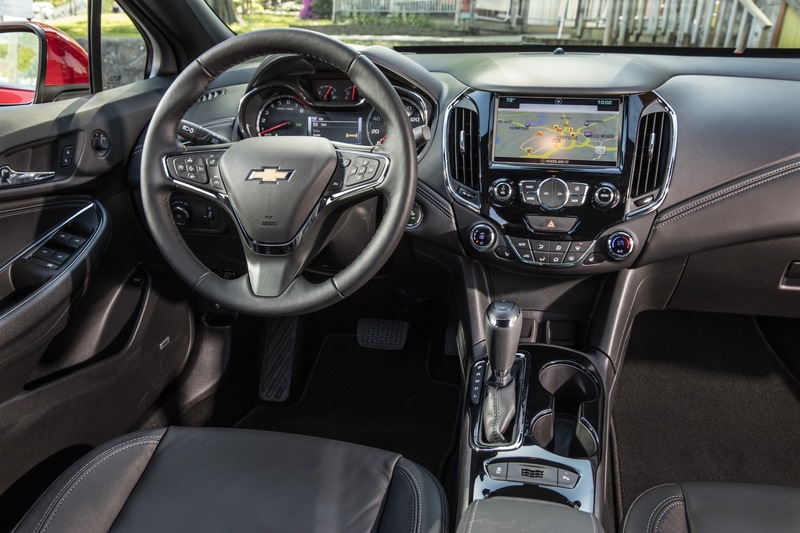 The 2016 Cruze’s interior offers greater spaciousness and technology designed to be more comfortable and a better connected environment for the driver and passengers. 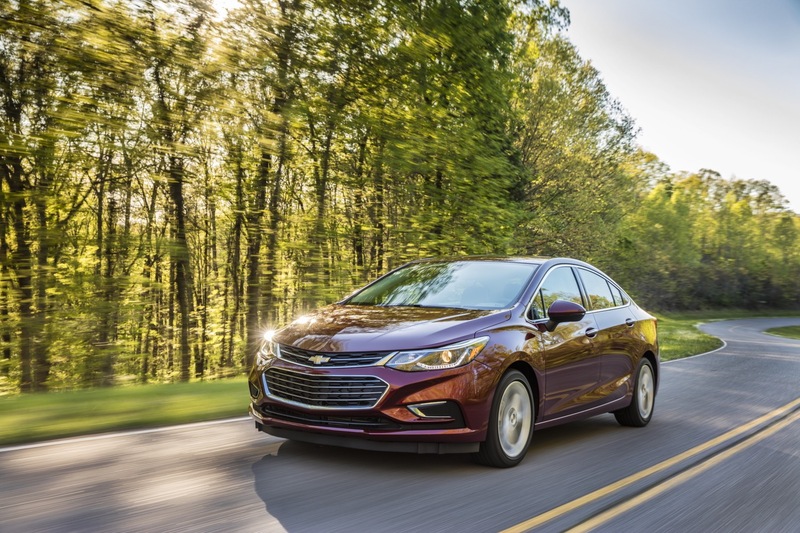 Facilitated by the increased wheelbase of the new model, the greater spaciousness includes more rear legroom (36.1 inches / 917 mm) and two inches (51 mm) more rear knee room – more than Ford Focus and Hyundai Elantra. 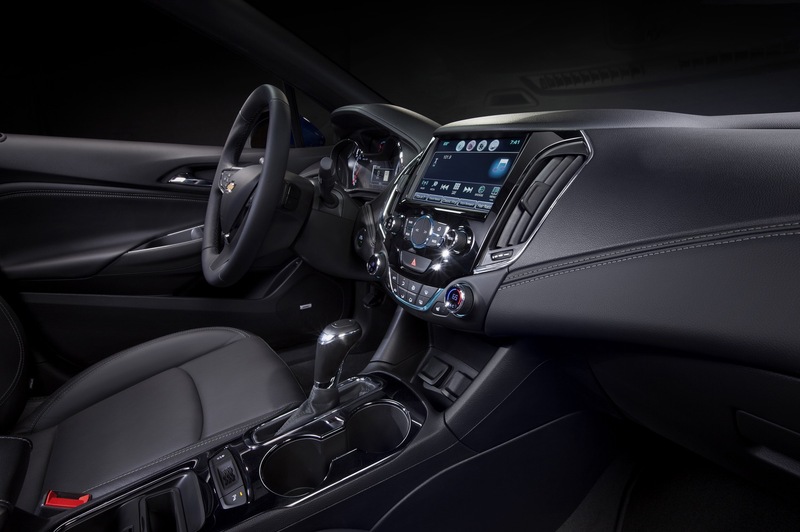 Beyond the quantifiable elements, the new Cruze features greater perceptual spaciousness thanks to flowing line work in the instrument panel, which blends almost seamlessly with the front door panels. 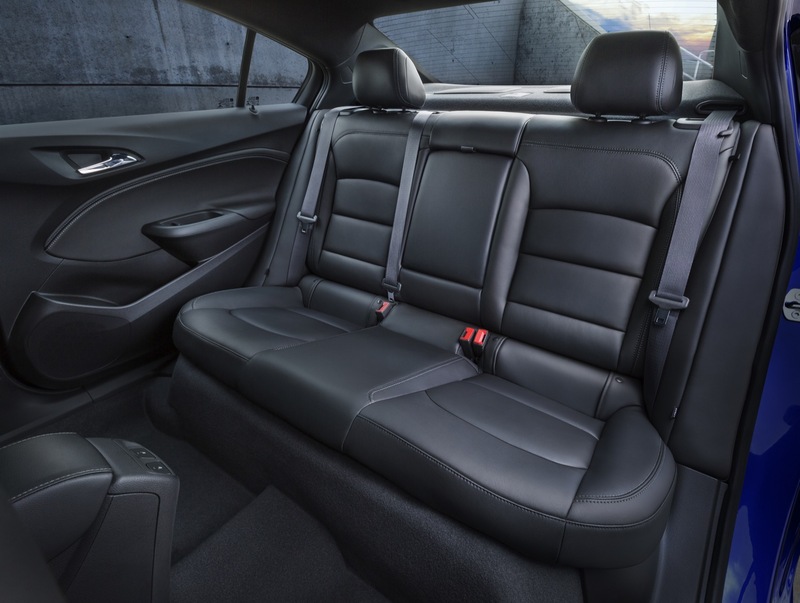 More soft-touch surfaces and animal-grained, micro-etched surfacing that enhance the premium look and feel of the interior, as well as premium fabrics with French stitching, distinctive for its contrasting stitch colors. 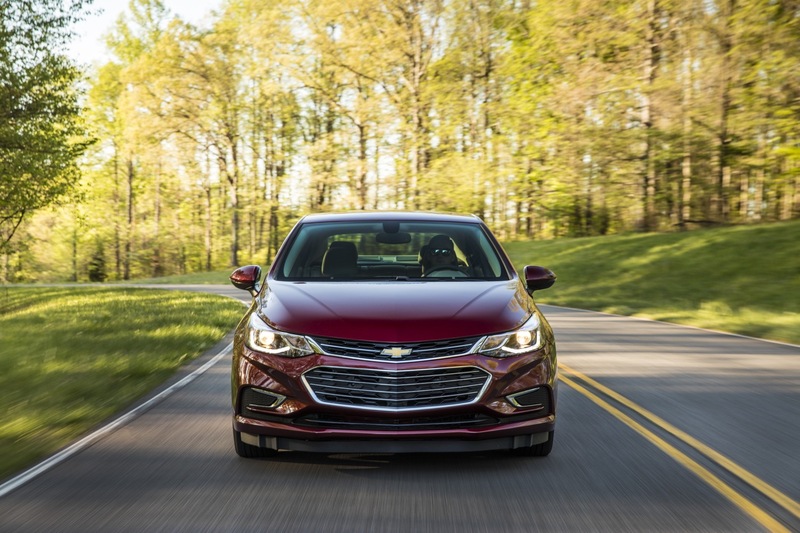 The 2016 Chevy Cruze features various advanced in-vehicle technologies that allow for a more connected and safer driving experience. 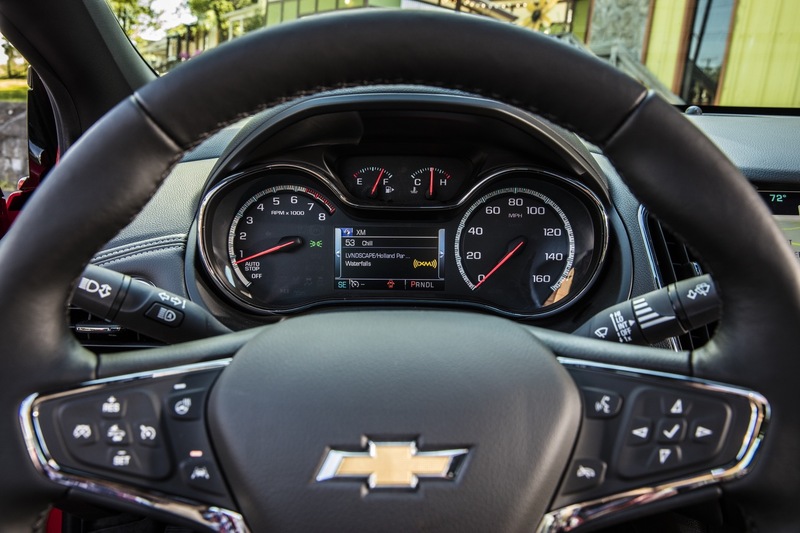 The technology experience starts with the all-new Chevrolet MyLink infotainment system, which enables simple and intuitive use of smartphones in the vehicle. 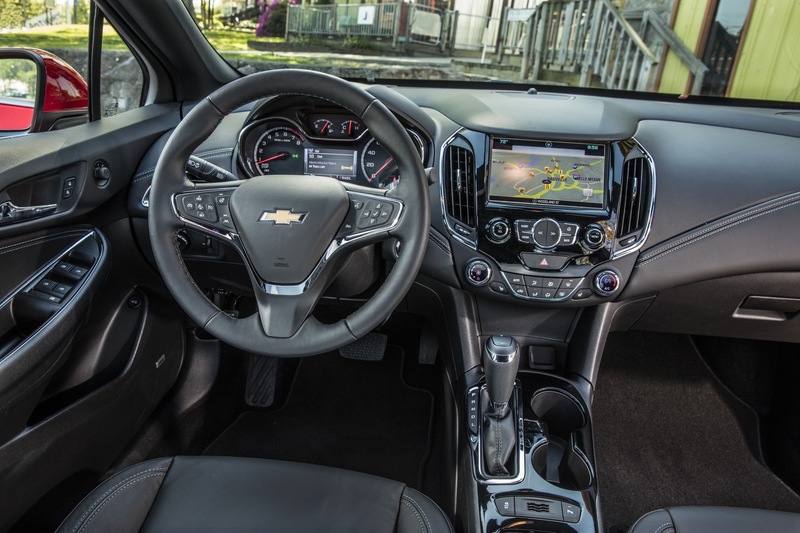 The system integrates certain phone functions onto the Cruze’s seven-inch-diagonal color touchscreen, allowing them to call up music, navigation apps and more. 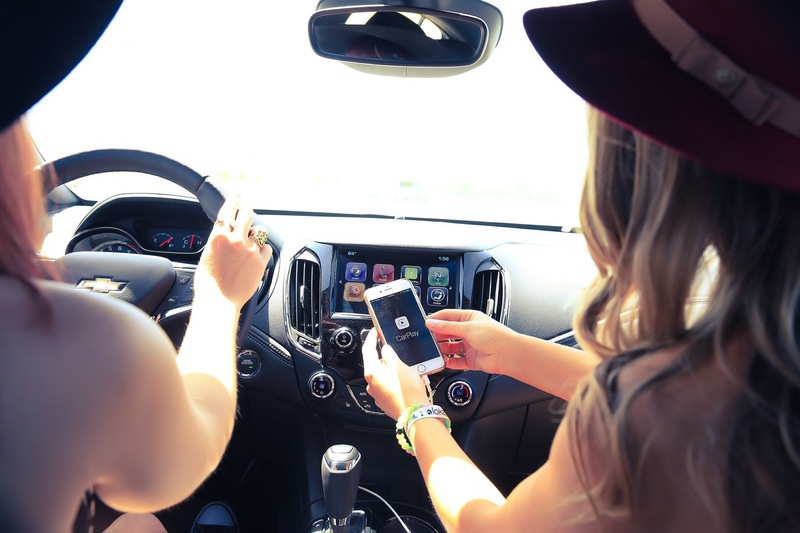 An uplevel MyLink radio with an eight-inch display and navigation is available and also incorporates Apple CarPlay. 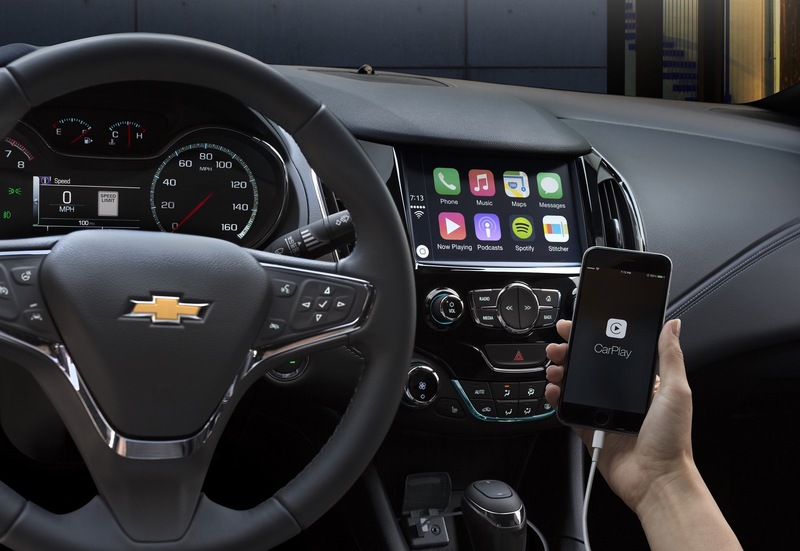 Apple CarPlay takes the iPhone features owners want to access while driving and puts them on the vehicle’s display in a smart and simple manner. 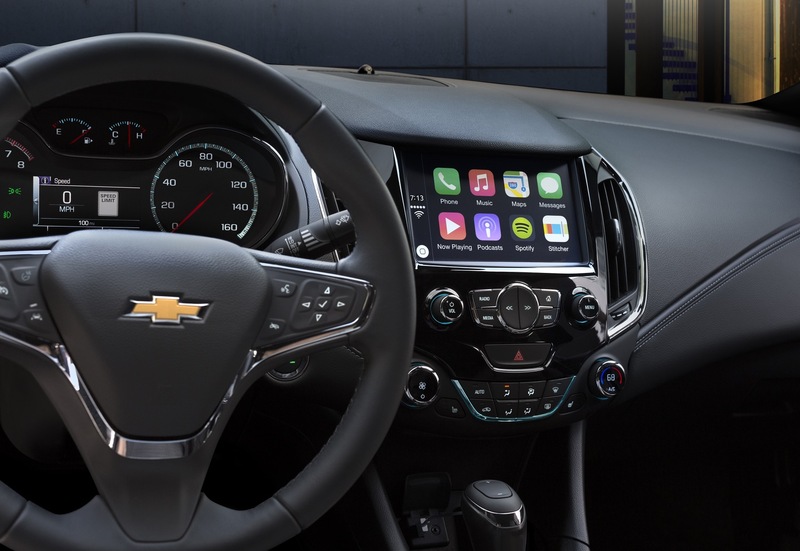 This allows drivers to make calls, send and receive messages and listen to music right from the touchscreen or by voice via Siri. 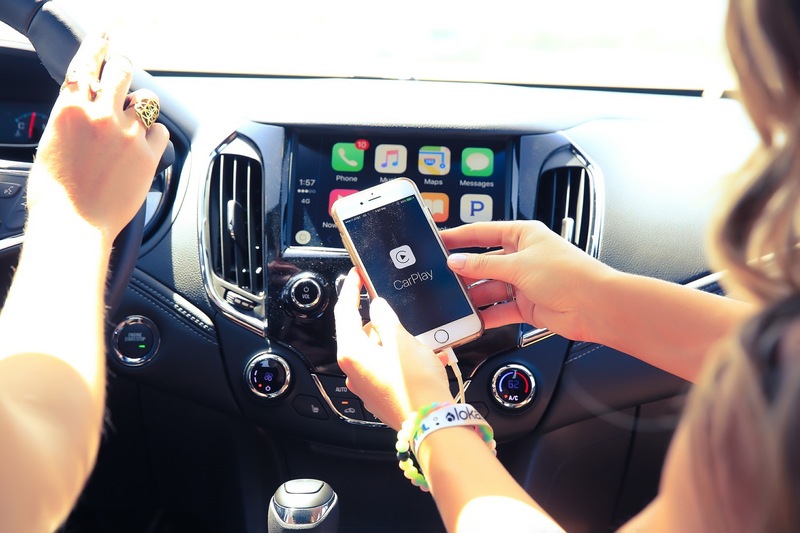 Apple CarPlay-supported apps include Phone, Messages, Maps, Music and compatible third-party apps. 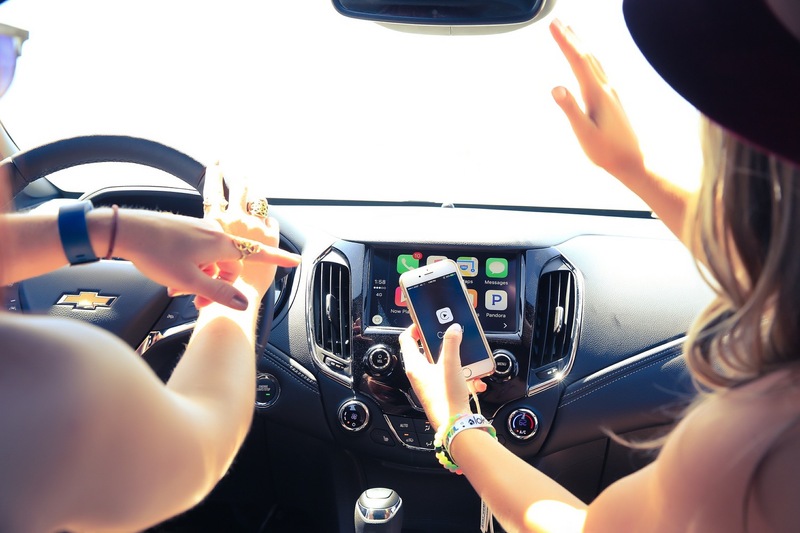 Android Auto is built around Google Maps, Google Now and the ability to talk to Google, as well as a growing audio and messaging app ecosystem that includes WhatsApp, Skype, Google Play Music, Spotify and podcast players. 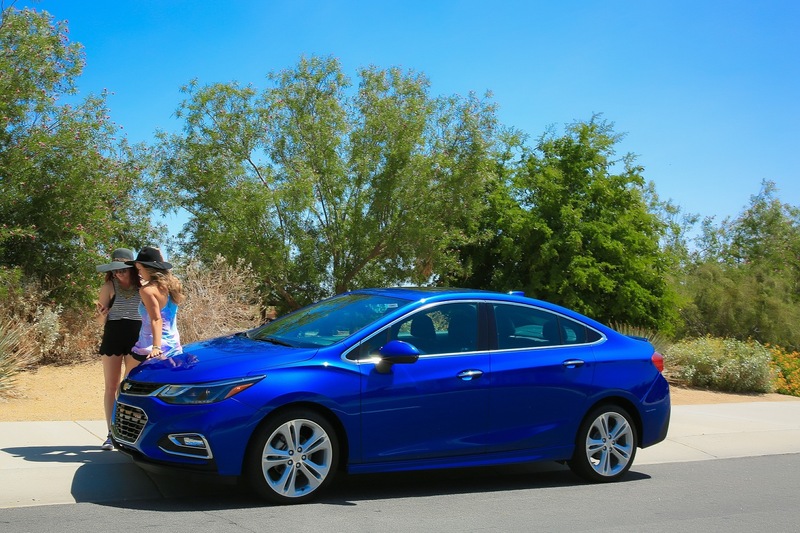 Complementing MyLink to enhance the Cruze’s connectivity is OnStar with 4G LTE and built-in Wi-Fi hotspot. 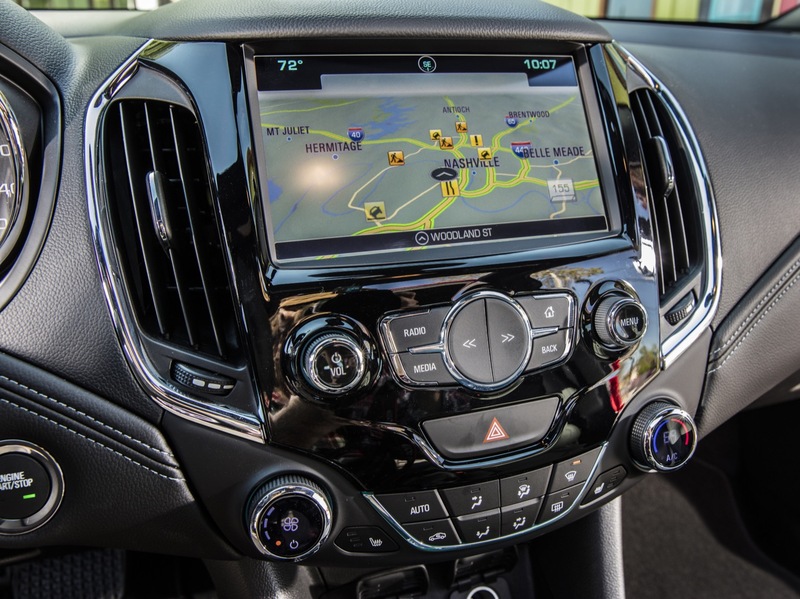 The OnStar services come have a complimentary six-month trial period, while the 4G LTE-based Wi-Fi has a 3-month or 3-gigabyte trial, whichever comes first. 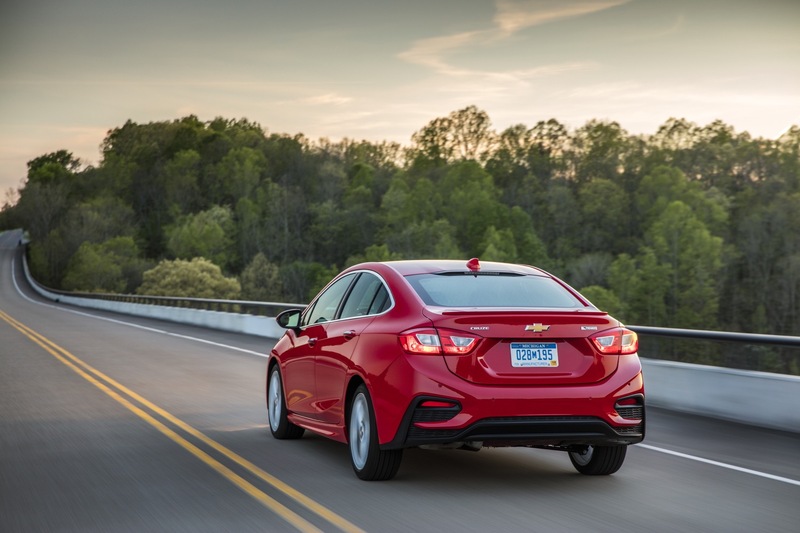 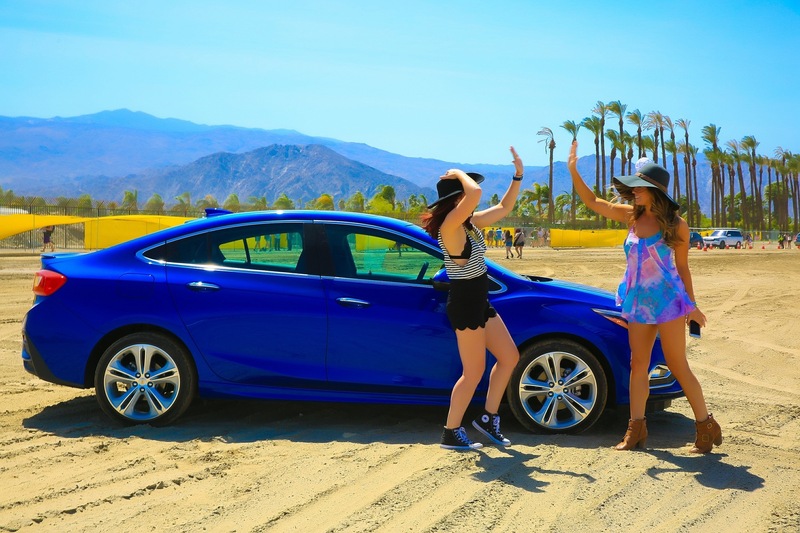 The 2016 Cruze uses GM’s new D2XX platform which succeeds the Delta 2 platform and Theta platform. 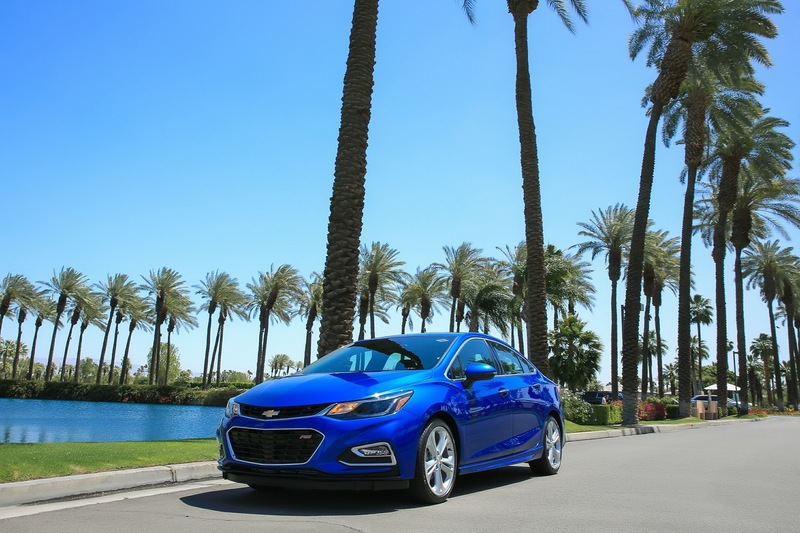 In North America, the 2016 Cruze is driven by an all-new, standard 1.4L turbocharged engine derived from GM’s new family of small gasoline engines. 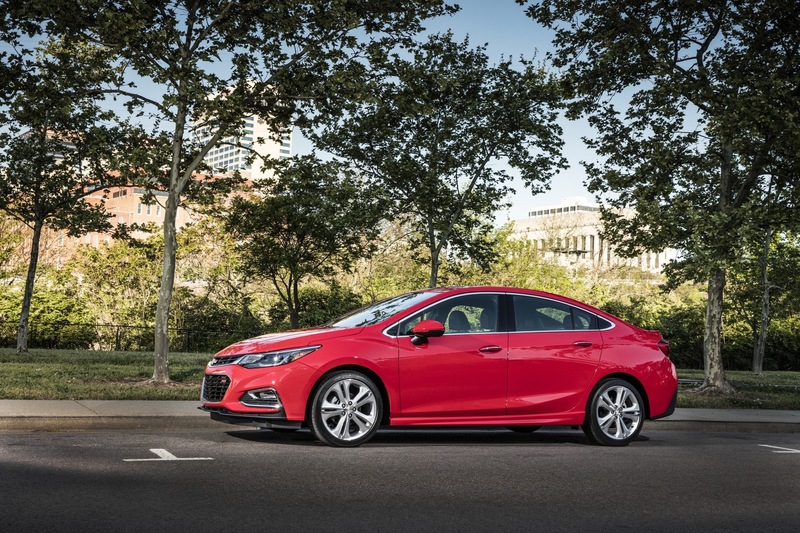 It features direct injection and stop/start technology that helps enhance efficiency in stop-and-go driving. 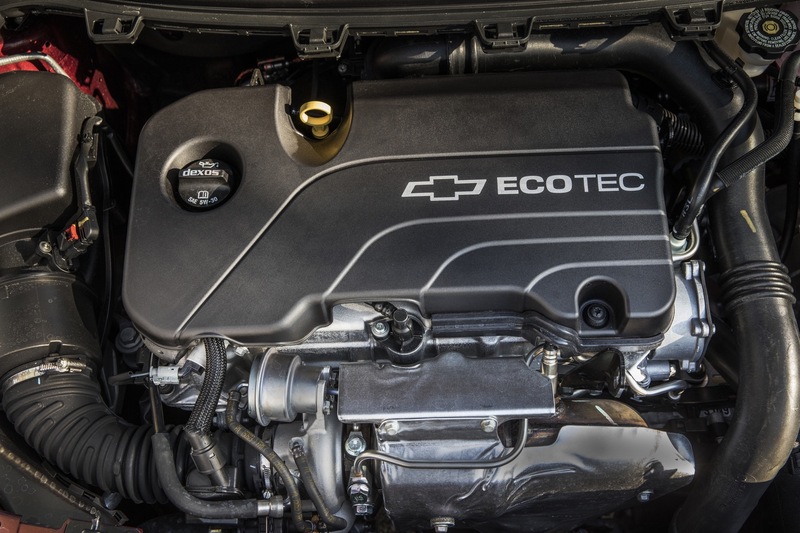 The new 1.4L turbo is SAE-certified at 153 horsepower (113 kW) and 177 pound-feet of torque (240 Nm). 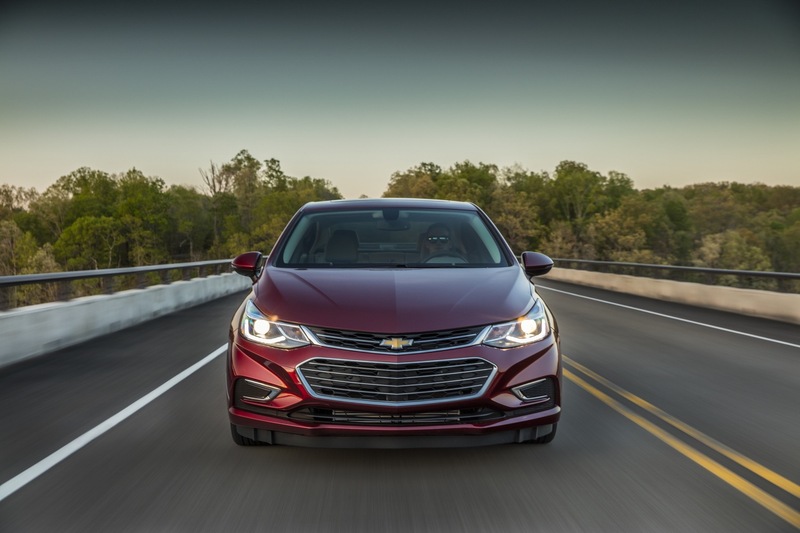 With more torque than the current Cruze’s 1.4L turbo and a lighter architecture, the new turbocharged engine is expected to deliver a segment-best 0-60 performance of 8 seconds. 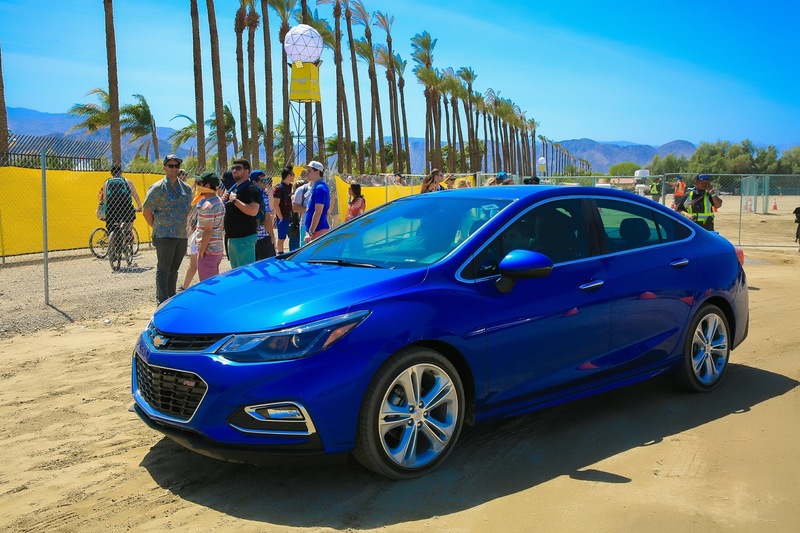 That makes the new Cruze quicker than most competitors, while also beating most of them at the gas pump, with a GM-estimated 40 mpg on the highway with automatic transmission. 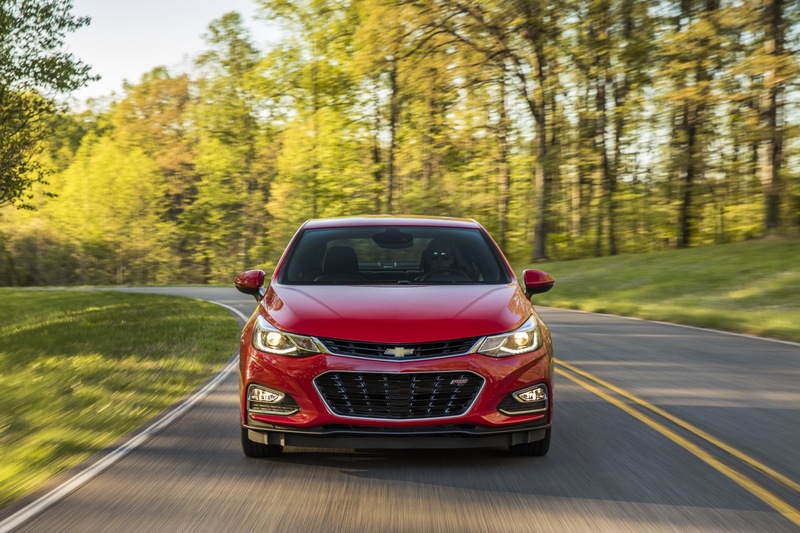 The new 1.4L turbo features an aluminum cylinder block and head, which helps reduce the Cruze’s overall weight to enhance performance and efficiency. 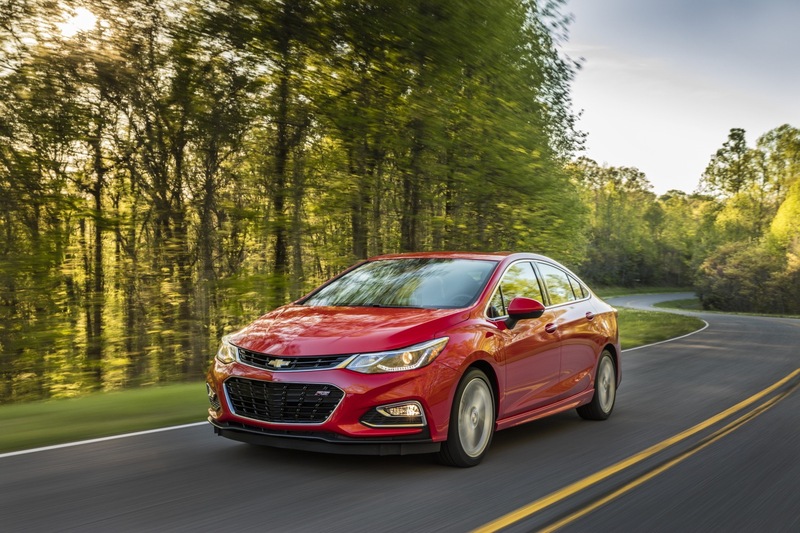 Engine efficiency is also enhanced through reduced friction, including low-friction piston rings, a low-friction camshaft drive, and a low-friction oil pump. 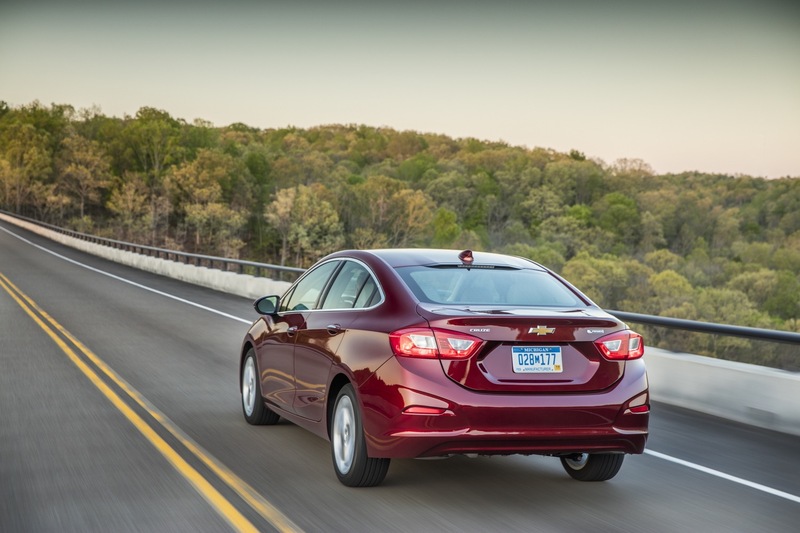 In addition, Chevrolet will introduce a new Cruze diesel model for U.S. customers in 2017. 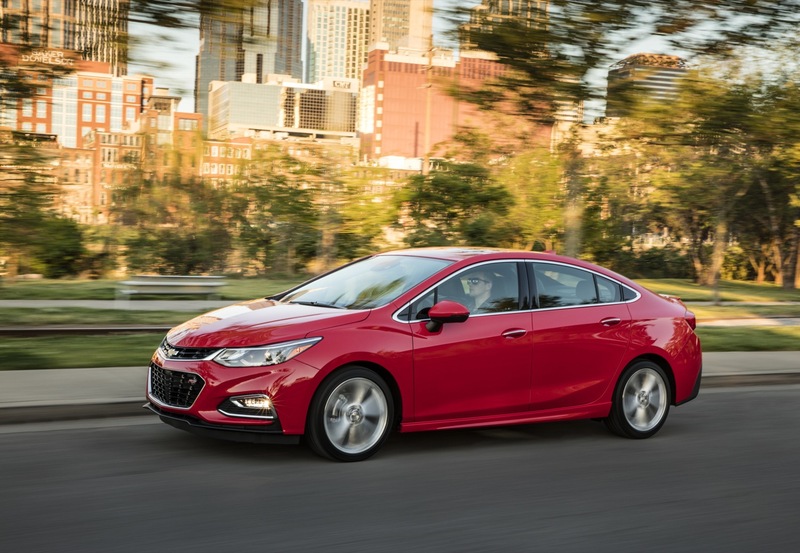 The 2016 Chevy Cruze offers six-speed manual or a six-speed automatic transmissions. 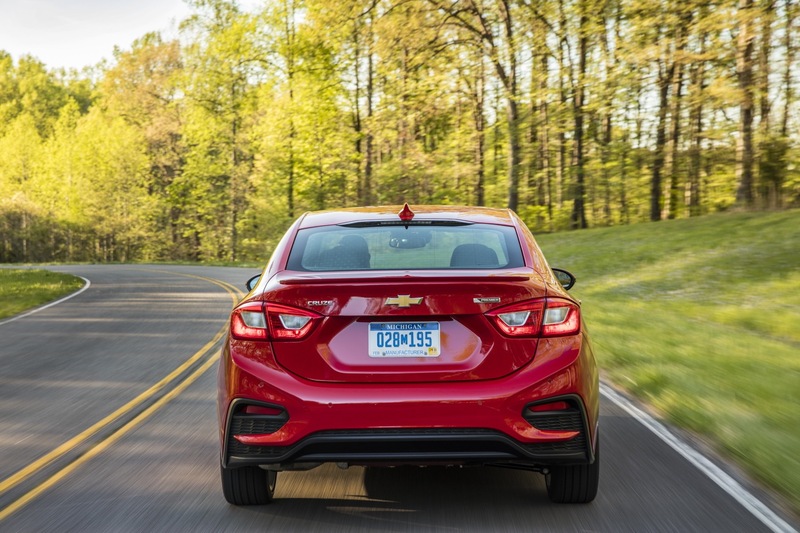 An all-new, more rigid and lighter architecture, known as the D2XX platform, is the 2016 Cruze’s foundation for driving dynamism, while also playing significant roles in safety and efficiency. 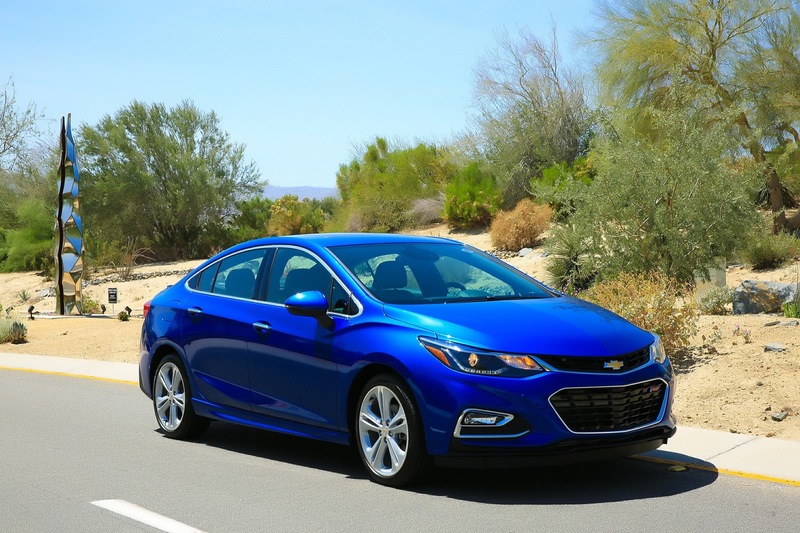 It is constructed of about 8 percent hot-stamped/high-strength steels, which contributes to an approximately 27-percent stiffer body structure that is also 53 pounds (24 kg) lighter than the current Cruze. 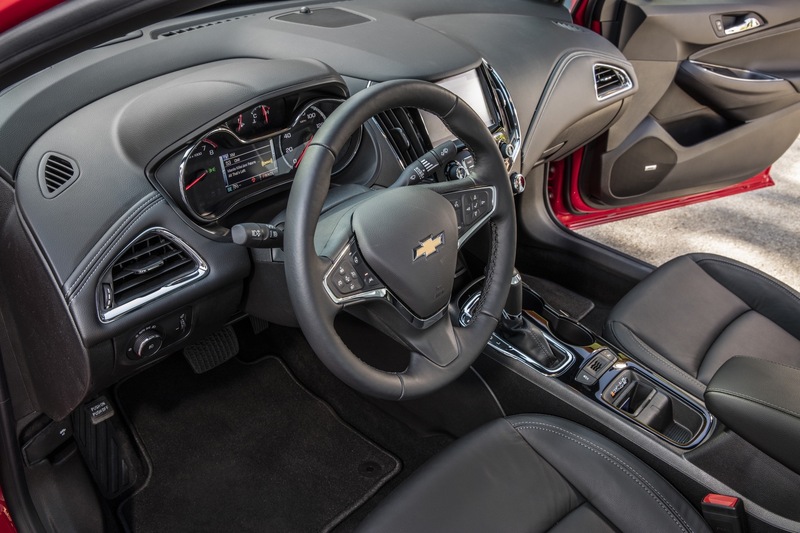 Additionally, the new, more rigid architecture is the primary enabler for exceptional chassis tuning, enabling more nimble and direct steering and handling attributes that foster driving confidence through precision. 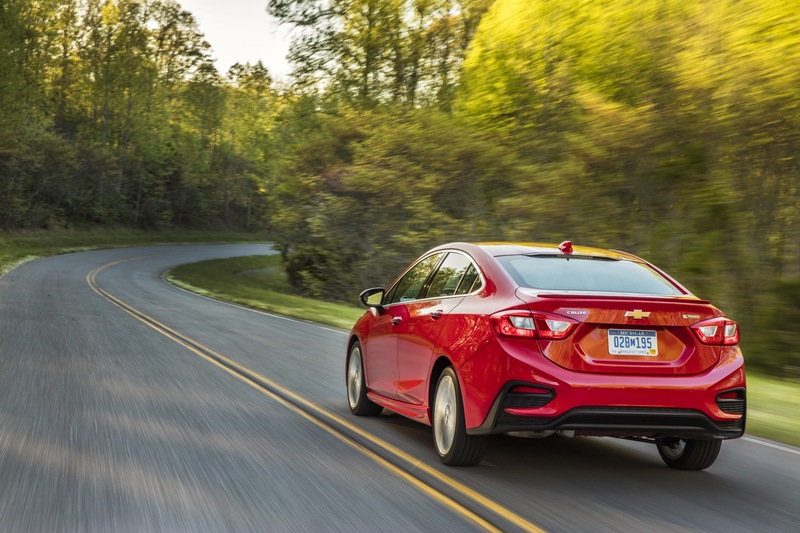 The longer wheelbase and wide front and rear tracks further contribute to a lower, wide “footprint,” which enhances agility and the feeling of control. 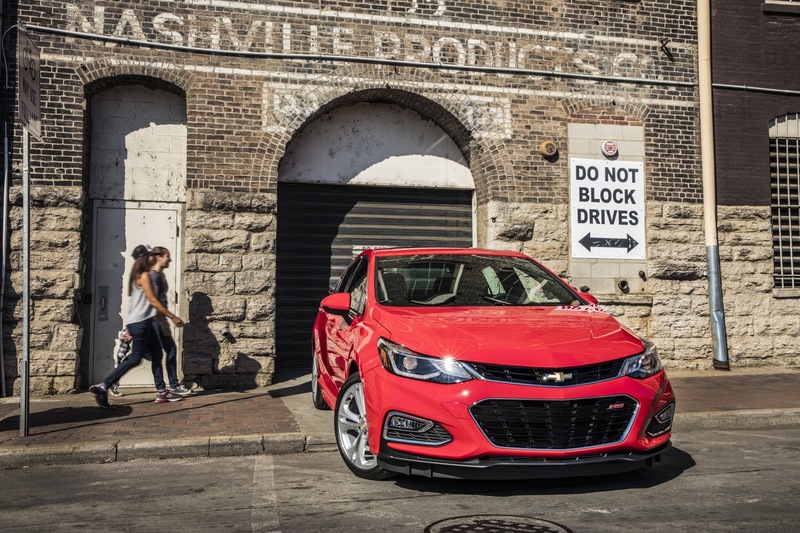 The 2016 Cruze’s safety story begins with the new, stronger body structure that incorporates high-strength steel in key areas to enhance strength and crash protection by helping to prevent intrusion into the passenger compartment. 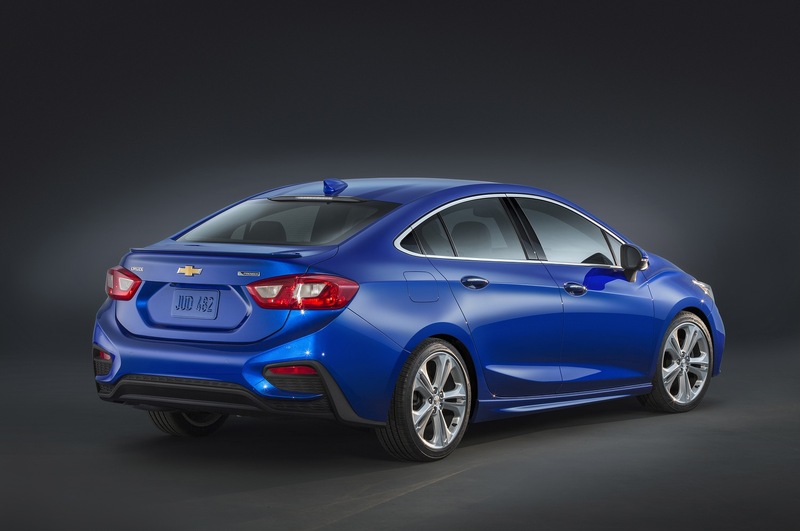 The second-generation Chevy Cruze is expected to be 100-200 pounds (45-90 kg) lighter than the first-generation model. 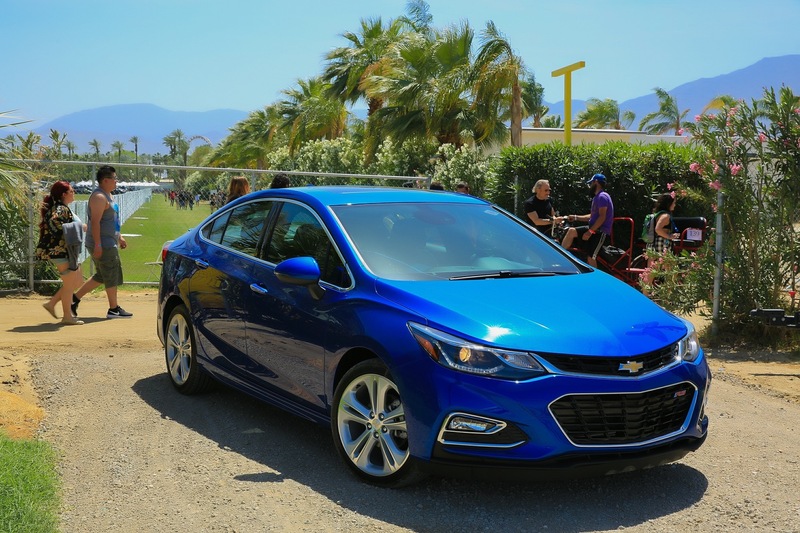 In the United States, we expect the 2016 Chevy Cruze to carry a starting price in the $16,000 range and be configurable into the high $20,000 range for the new Premium trim level. 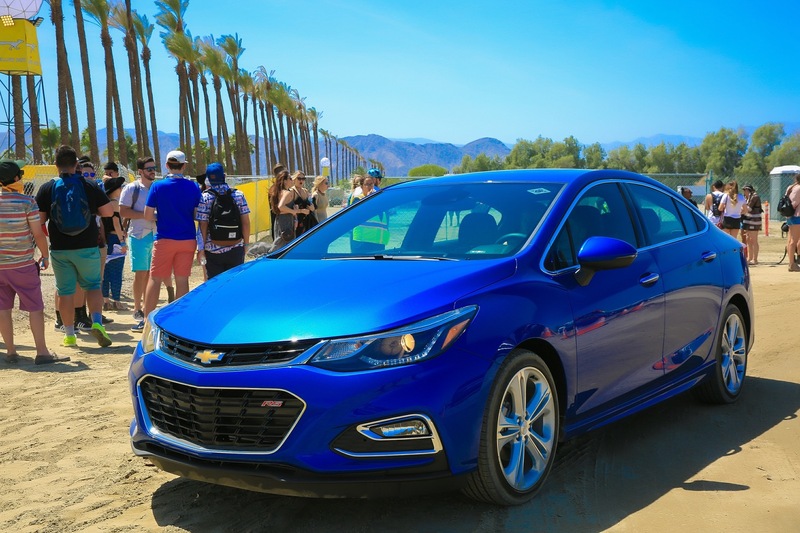 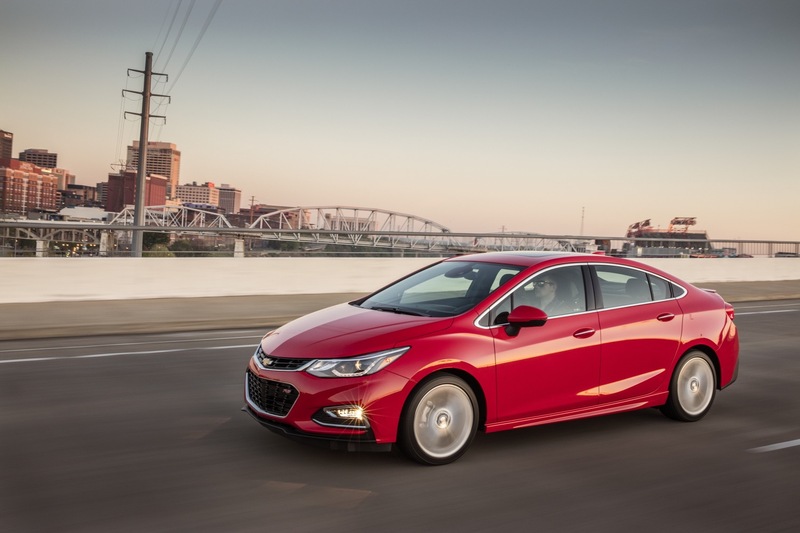 Chevrolet unveiled the all-new, 2016 Cruze on June 24th, 2015. 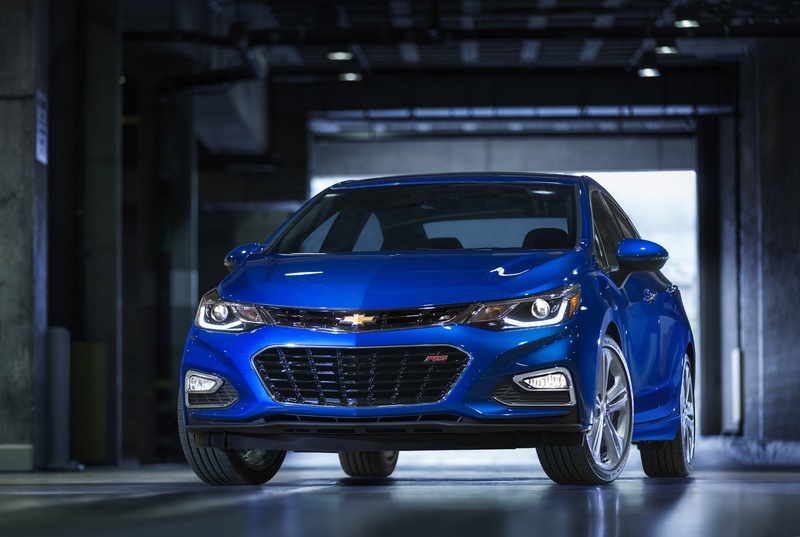 For the North American market, the 2016 Chevrolet Cruze will be built at GM’s Lordstown, Ohio assembly plant, with locally- and globally-sourced components. 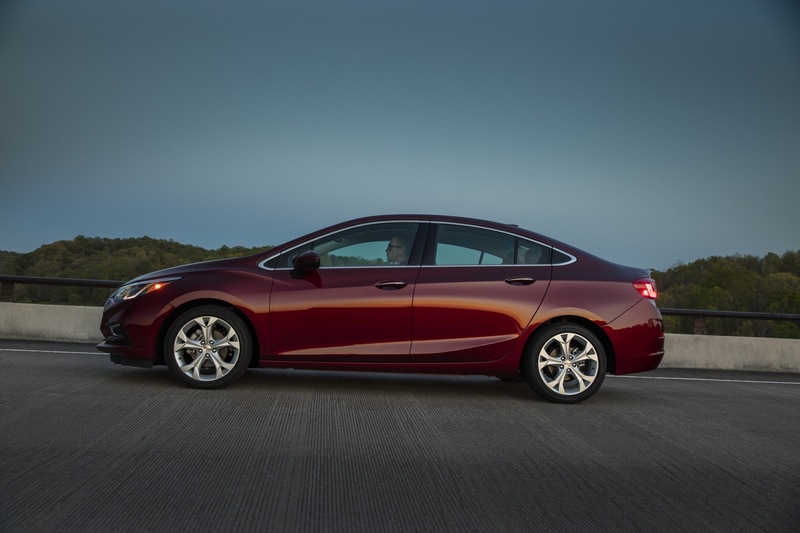 The plant received a $50-million investment in tooling and other enhancements to support production of the new Cruze. 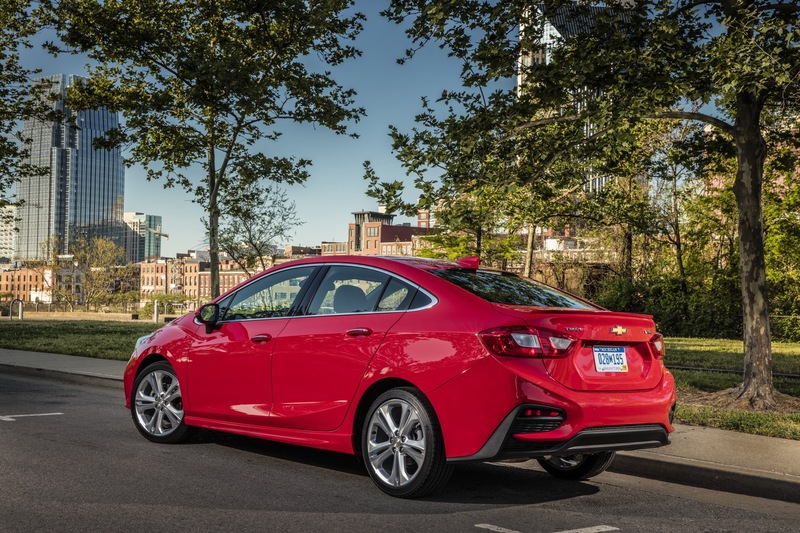 The second-generation Chevy Cruze will be available globally in markets in which Chevrolet currently competes. 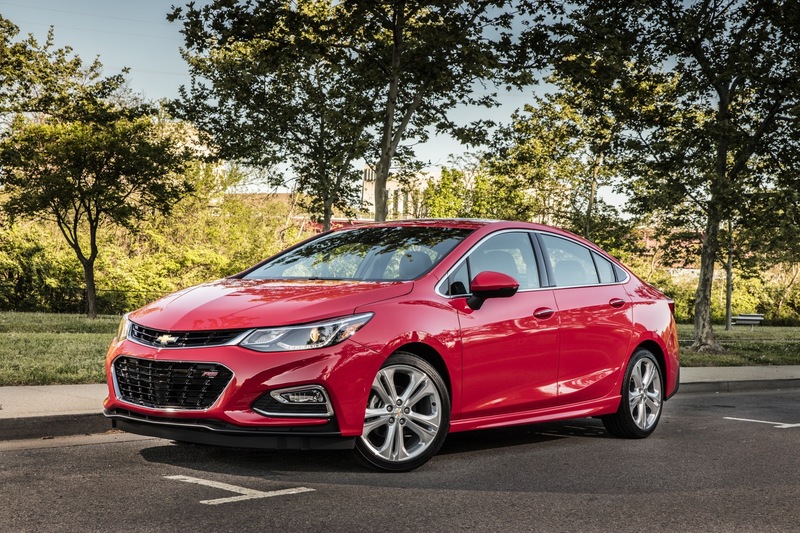 The vehicle will have slight market variations. 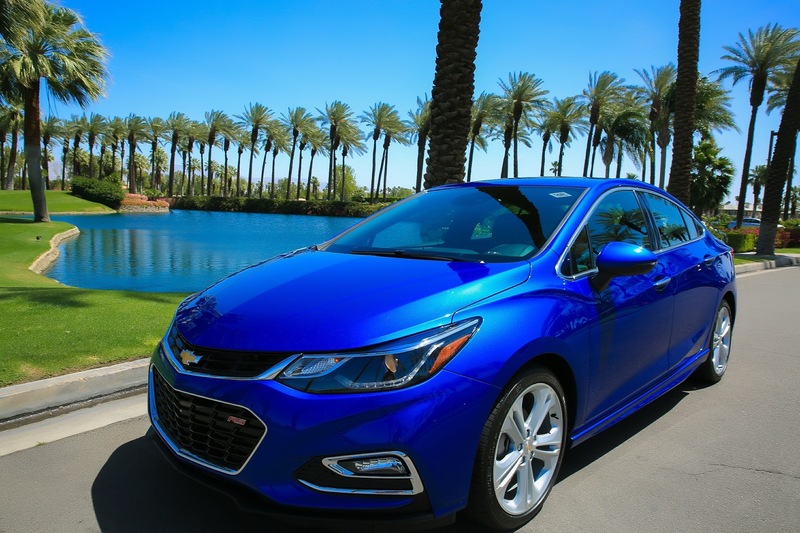 In the United States, the 2016 Chevy Cruze became available in early 2016. 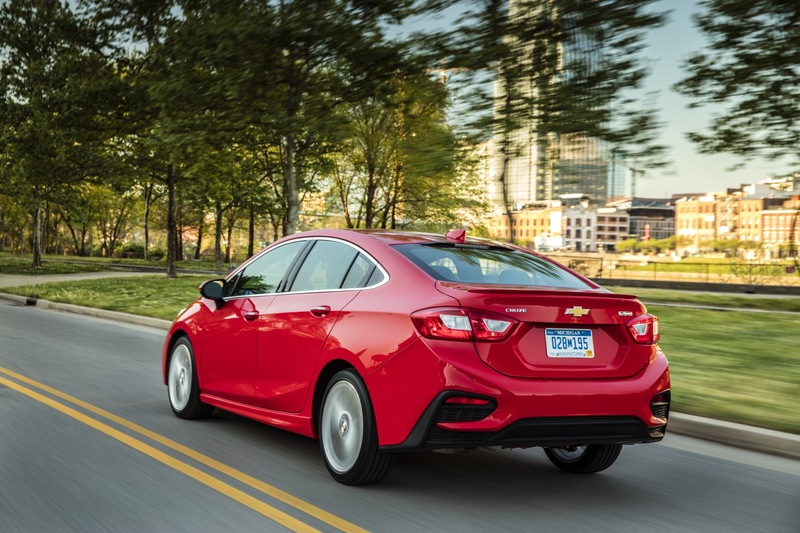 The 2016 Chevy Cruze will be available as a four-door sedan. 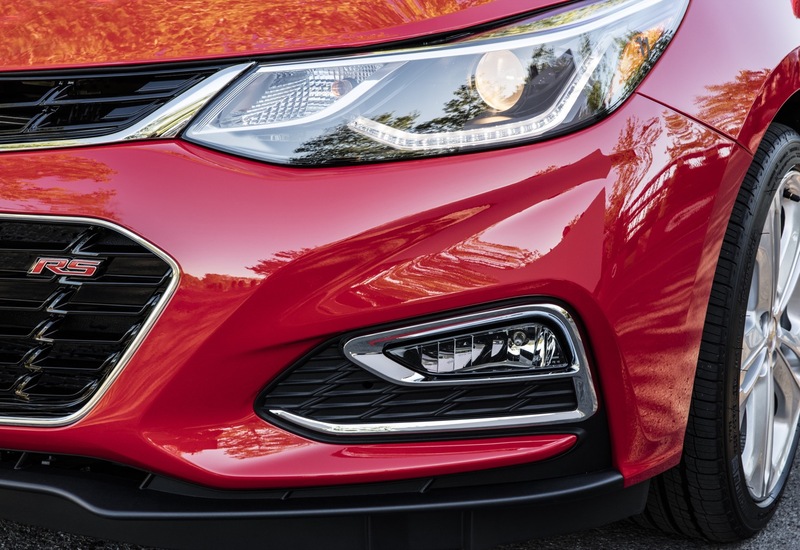 Though unconfirmed by GM officially, reports indicate that a five-door hatchback variant of the new Cruze will become available in North America at the same time as the new Cruze sedan. 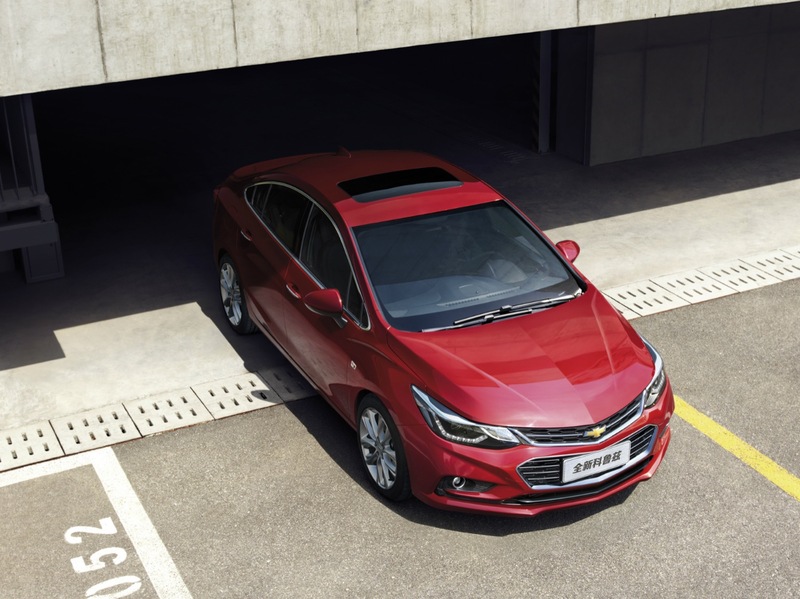 A five-door wagon variant is possible for select global markets. 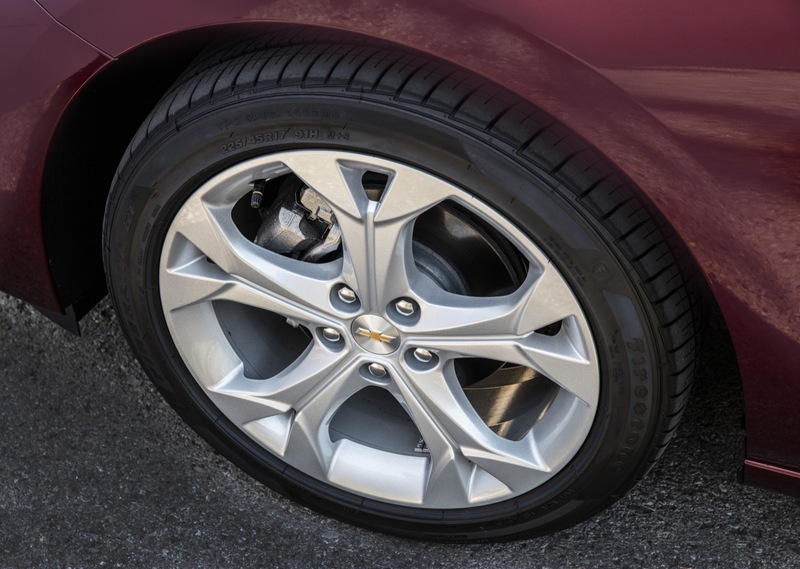 The new Premier model replaces LTZ as the range-topping trim. 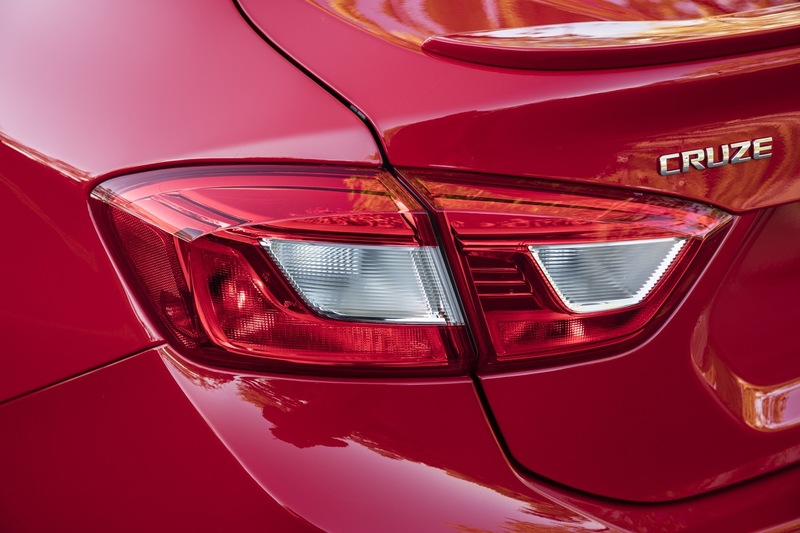 Enabled by a lighter architecture and new 1.4L turbocharged engine, the new Cruze is expected to deliver a segment-best 0-60 performance of 8 seconds. 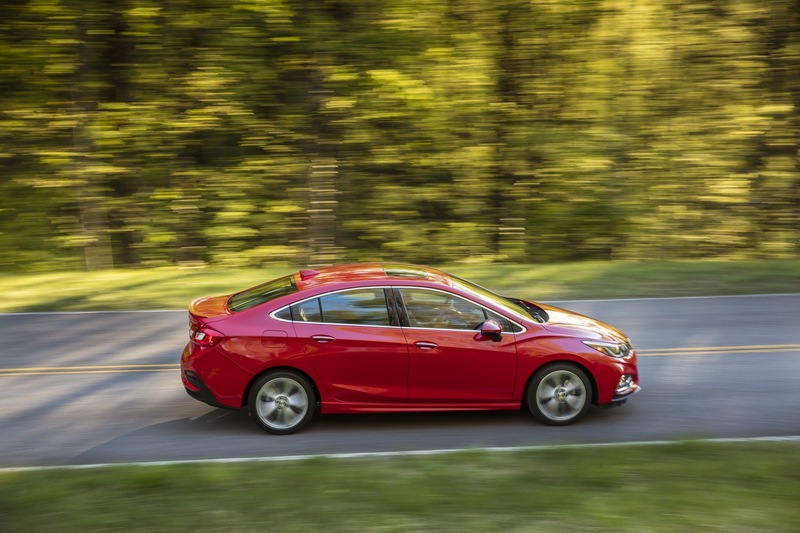 That makes the new Cruze quicker than most competitors, while also beating most of them at the gas pump, with a GM-estimated 40 mpg on the highway with automatic transmission. 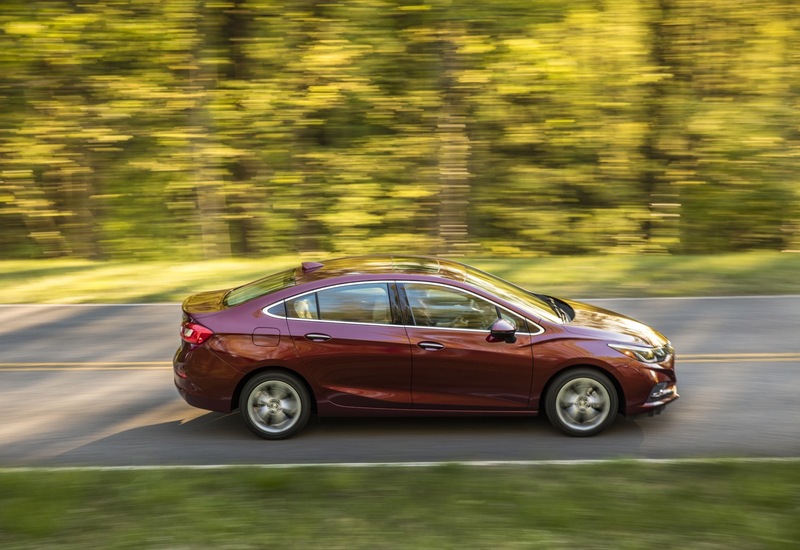 According to Chevrolet, the 2016 Cruze offers an EPA-estimated 40 MPG highway. 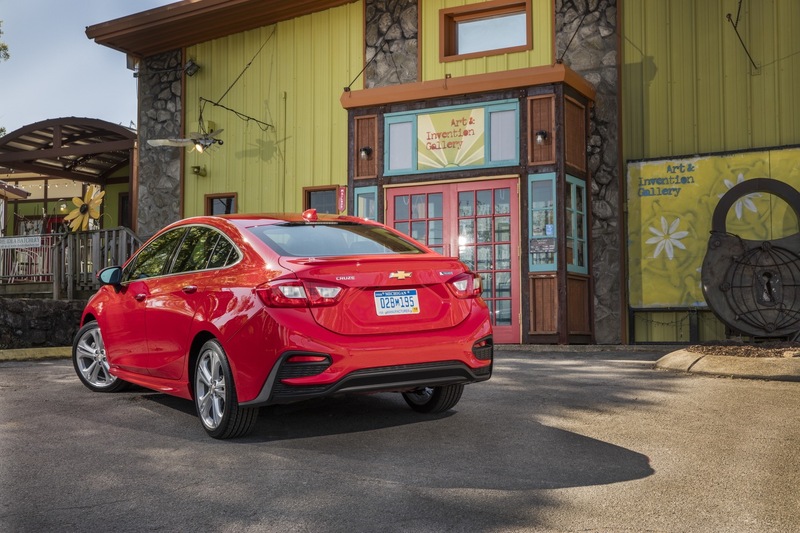 General Motors will continue manufacturing and selling the first-generation, Delta-platformed Chevy Cruze for the 2016 model year as the Cruze Limited. 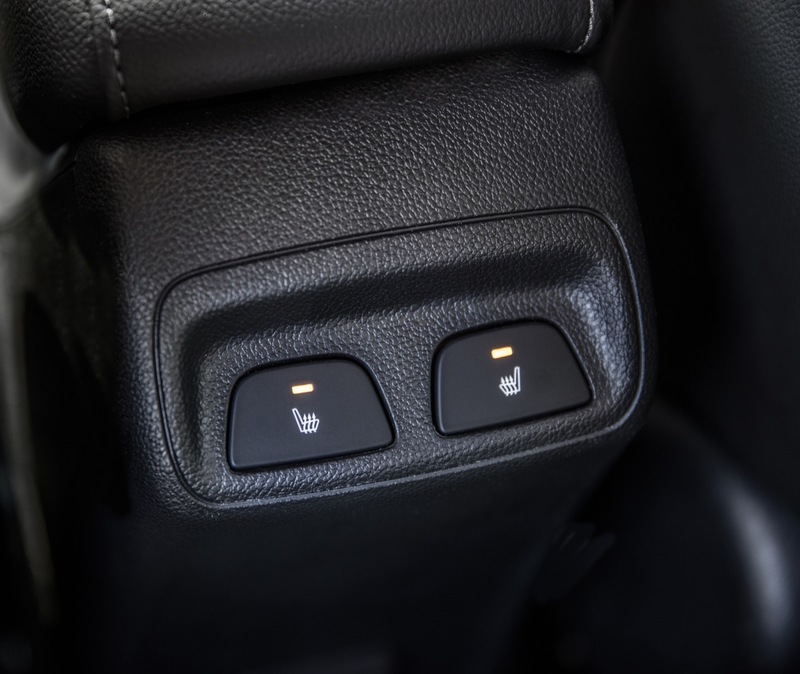 The vehicle will be available exclusively to fleet customers. 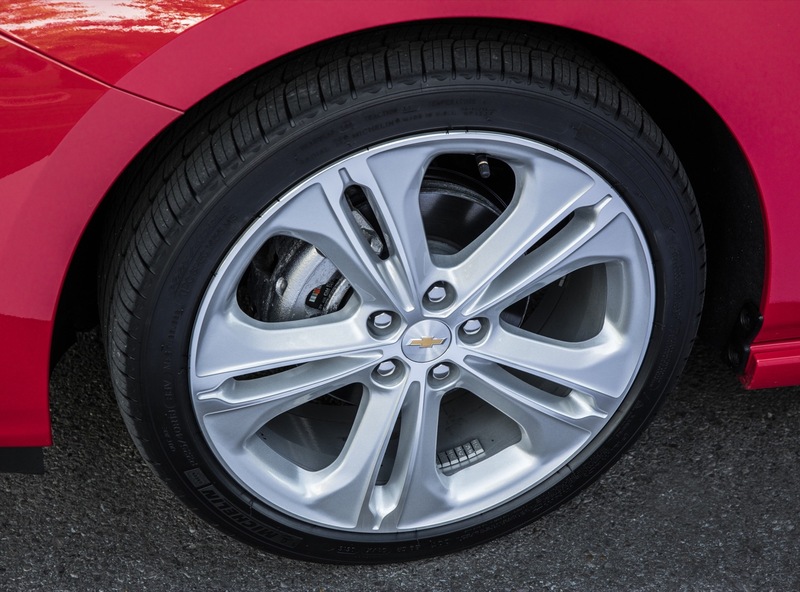 The following specifications are preliminary.